Roger Kastel, a native of White Plains, New York, began his art career while still in high school, commuting into Manhattan to study at the famed Arts Students League, where other notable alumni included Frederick Remington, Georgia O’Keeffe, and Winslow Homer. After serving in the Navy during the Korean War, Roger returned home and became a professional artist doing freelance work for various studios, as well as ad agencies throughout New York. Eager to hone his craft, Roger, after putting in a full day’s work doing storyboards, mechanicals and layouts, continued his education by returning to the Arts Students League in the evenings. A large portion of his training came from one of the most respected teachers of his era, Frank Reilly, who had earlier been an apprentice to Dean Cornwell. Roger also studied with Edwin Dickinson, Sidney E. Dickinson and Robert Beverly Hale. While still a student Roger had his first paperback book cover published in the 1960’s by Pocket Books (Simon Schuster). All told, Roger estimates that he has done over a 1,000 illustrations for various publishers. Also in the 1960’s, a painting of Roger’s won first prize from the National Fire Underwriters. This painting was made into a fire safety poster that was used for many years and had high visibility. By the 1970’s Roger Kastel hit full stride as an artist, becoming one of the most well respected illustrators in the business, working for every major publishing house in New York. 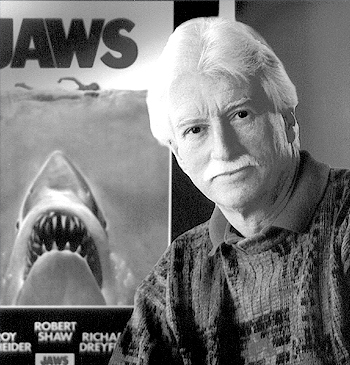 If his work was not yet recognized globally that was about to change in a big way when he accepted the challenge of illustrating the paperback cover of Peter Benchley’s bestselling classic JAWS for Bantam Books. Universal Studios, so impressed by the work, purchased the right to use this image as the poster for the movie. This was the first time that a poster image became a merchandising product in itself. Forty years later Roger’s illustration is still as instantly recognized throughout the world as when it first exploded onto the scene. Roger’s reputation as a top flight illustrator now made its way to Hollywood, and he was asked to paint the movie poster for George Lucas' highly anticipated sequel to Star Wars, The Empire Strikes Back. This poster also became an instant classic and is considered one of the most influential movie posters every produced. Roger Kastel work is also recognized in the prestigious books 200 YEARS OF AMERICAN ILLUSTRATION, as well as THE ILLUSTRATOR IN AMERICA. This award winning artist is a long time member of the Society of Illustrators, where he has work in the Society’s permanent collection. Roger is also a member of the Artists Fellowship, the Kent Art Association and the Portrait Society. He has paintings in private and corporate collections. Roger is currently active in fine art and commissioned portraits. ©2011 Roger Kastel All Right Reserved.